BRUSSELS (Sputnik) - Czech Prime Minister Andrej Babis on Thursday refuted claims that the substance used in the poisoning of former Russian spy Sergei Skripal in England could have been produced on Czech soil. On Saturday, Russian Foreign Ministry spokeswoman Maria Zakharova, commenting on the Skripal poisoning case, said that the substance in question could have been made in countries that have been actively developing nerve agents of the so-called Novichok family or similar since the 1990s, including the United Kingdom, the Czech Republic, Sweden, and possibly the United States. "The Czech Republic has strongly condemned this attack and we, of course, stay with our allies and we have strongly refuted the speculation about the production of Novichok in the Czech Republic. This is really a lie and we have refuted it completely," Babis said at a joint press conference with NATO Secretary General Jens Stoltenberg in Brussels. 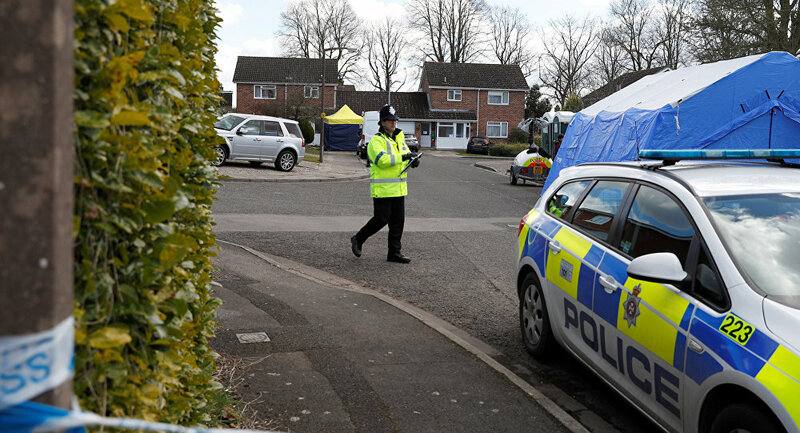 Skripal and his daughter Yulia have been in critical condition in a hospital since March 4 and are being treated for exposure to what UK experts believe to be the A234 nerve agent. The UK side has claimed that this substance is related to the Novichok class of nerve agents that was developed in the Soviet Union. May has accused Russia of orchestrating the attack on the former intelligence officer and expelled 23 Russian diplomats as a punitive measure. Russia has strongly rejected the accusations and suggested helping in the investigation. However, Moscow's request for samples of the chemical substance used to poison Skripal has been denied. Russia also expelled UK diplomats in response and ordered the British Council to stop its activities in the country.